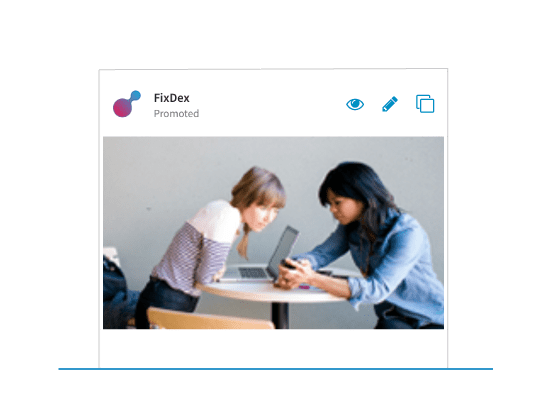 Reach a highly engaged audience with native ads in a professional news feed across desktop and mobile. Drive leads, build brand awareness, and nurture key relationships at every stage of your sales cycle. Build your ideal audience with LinkedIn profile data and your own audiences. Target on LinkedIn and beyond with LinkedIn Audience Network. Target people in a professional mindset with content marketing on LinkedIn. 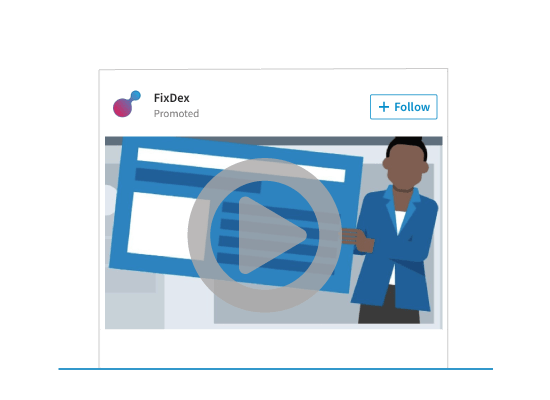 Run native ads across desktop and mobile to build an audience that’s ready to do business with you. Use Lead Gen Forms to seamlessly capture leads in the news feed. This feature pulls LinkedIn profile data (like contact details) into a form that members can submit with one click. Team up with LinkedIn Marketing Partners to exceed marketing goals. Select partners with the specialized knowledge or technology needed to boost your business results. Grow your company’s presence with a free LinkedIn Page. Publish and share content to gain followers. Posts will appear on your LinkedIn Page and in the news feed of your followers across all devices and platforms. Already have a LinkedIn Page? Learn how to request access. Create a Sponsored Content campaign to meet all your marketing objectives. 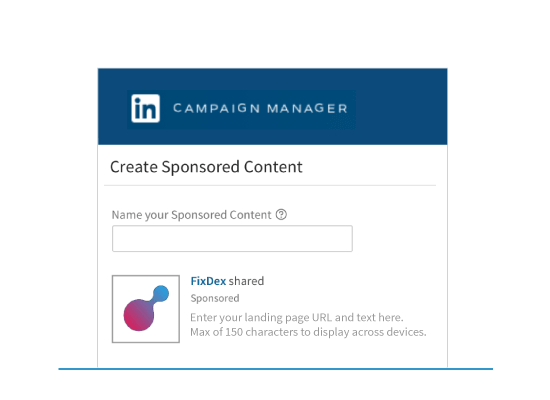 Use Direct Sponsored Content to personalize and test ads for specific audiences, without publishing on your LinkedIn Page. Measure your campaign performance with engagement metrics and understand your audience better with demographic reporting. You can also install the LinkedIn Insight Tag on your website to track leads and conversions.